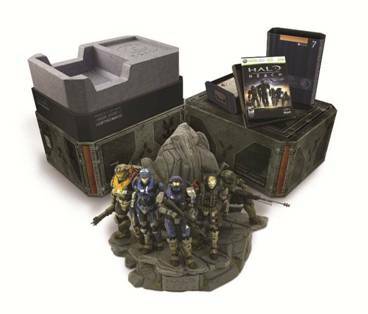 The biggest Xbox 360 exclusive of 2010 – “Halo: Reach” – will be released in Singapore on 14th September 2010 in three different editions – Standard (S$74.90), Limited (S$84.90) and the Legendary edition (S$199.00, all pictured above) – to satisfy every Halo fan. “Halo: Reach,” developed exclusively for the Xbox 360 by acclaimed developer Bungie, is the prequel to the super-popular game “Halo”. “Halo” is one of the biggest video game series in history, and is the Xbox’s most lucrative franchise. “Halo: Reach” is the culmination of 10 years of award winning “Halo” games that have raised expectations for what can be achieved in a video game. “Halo: Reach” tells the story of Noble Team, a group of Spartans, who through great sacrifice and courage saved countless lives in the face of impossible odds. The planet Reach is humanity’s last line of defense between the Covenant and their destruction of Earth. If it falls, humanity will be perched on the brink of destruction. As evidence of the game’s highly anticipated release, more than 2.7 million players participated in the “Halo: Reach” multiplayer beta in May, making it the largest console video game beta test on record. It was also more than triple the size of the historic “Halo 3” beta. Are you excited yet? Here’s what you’ll be getting in the Limited and Legendary Editions. Pre-orders begin 20th Aug 2010 and they can be collected in the official Halo: Reach launch event at Funan DigitaLife Mall on 14th Sep, from 12-3pm. General availability begins from 15th Sep at all major retailers. 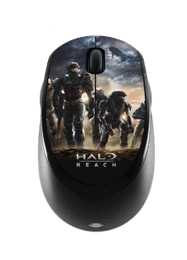 “Halo: Reach” pre-orders collected on the 14th September will also come with an exclusive Halo goodie bag, and if you are among the first 100 customers on that day, your copy of “Halo: Reach” will sport autographs by the Bungie team! Visit www.xbox.com.sg/halo for more details! 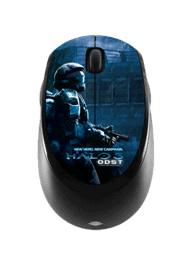 Also, from now till 31 Oct, buy selected Microsoft BlueTrack mice and get to customize your mouse with exclusive Halo skins at no extra cost as part of the ongoing “Your Mice, Your Style” promotion. Customers just need to bring their mouse and purchase receipt to Digiskin at 04-02, The Cathay, to redeem their free skin within one month of purchase. Other designs are also available. Visit www.mshardwaresea.com/singapore for more details. Singapore wins Ring of Champions!